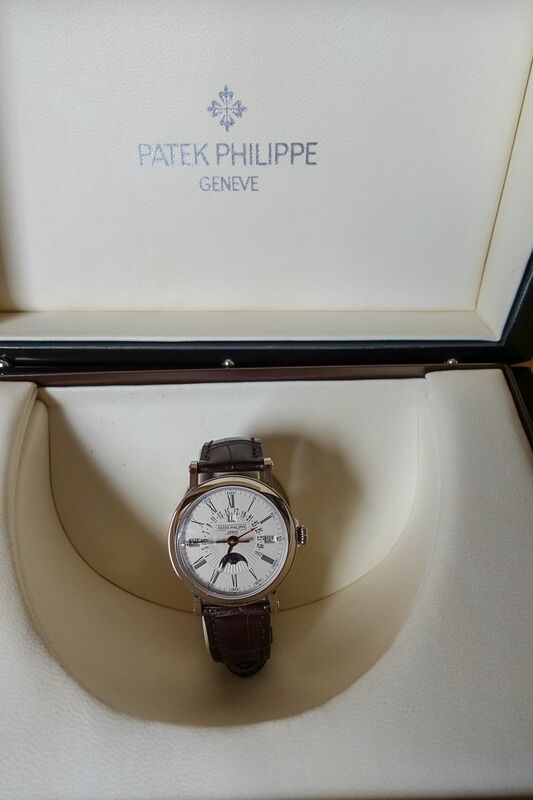 This is a mint condition officer's style Patek Philippe 5159 in white gold. 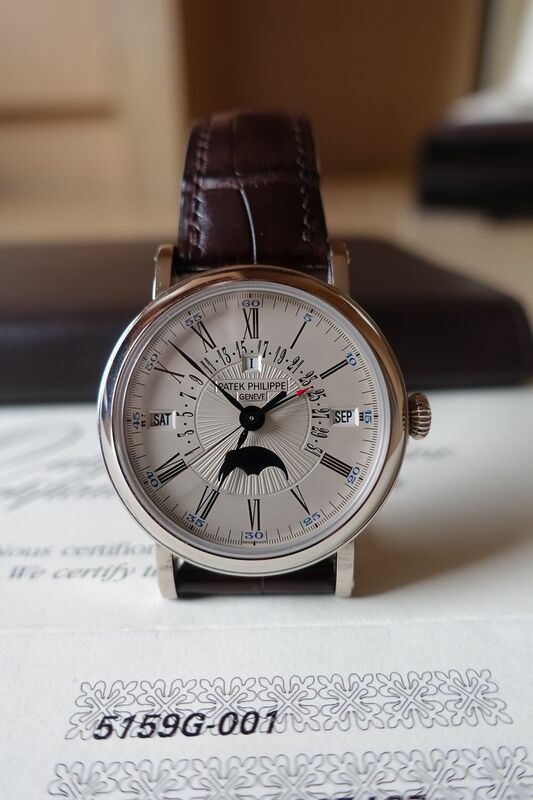 A perpetual calendar with retrograde date hand, its housed in a 38mm case, with a white gold deployant clasp and a crocodile leather strap. 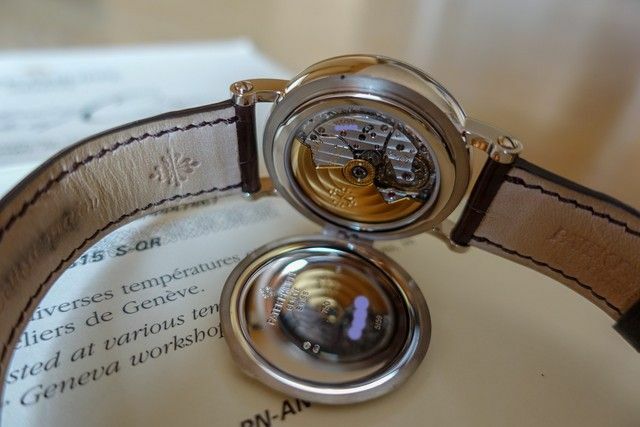 There is an opaline-white dial,hand-guilloched center and also has a transparent and see-through case back with a hinged cover back. 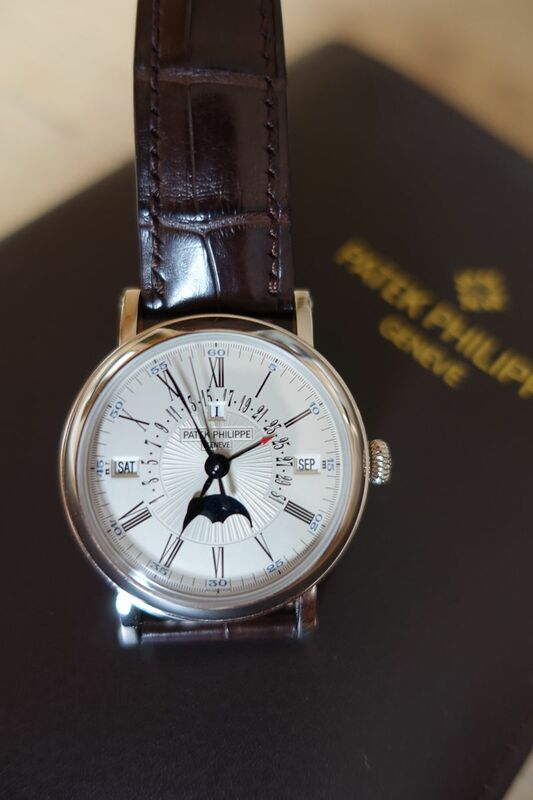 The 5159 has a caliber 324 S QR and is a rare perpetual calendar with a retrograde date and sweep seconds. This is from my private collection. I am not a dealer. Watch is located in Hong Kong and I have many international references. I also travel to Southeast Asia and the States so we could meet in person to deal. Can also ship to CONUS. TZ references available.